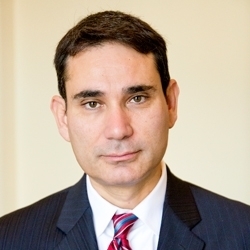 Speaker: Dr. Tony Payan, Fellow and Director, Mexico Center at Baker Institute of Public Policy, Rice University. Tony Payan, Ph.D., is the fellow in Mexico studies and director of the Mexico Center at Rice University’s Baker Institute. He is also an adjunct associate professor at Rice University, an associate professor of political science at the University of Texas at El Paso, and serves on the graduate faculty at the Universidad Autónoma de Ciudad Juárez. Payan’s research focuses on the applicability of international relations theory to the U.S.-Mexico border and other border environments. His work theorizes on various topics regarding international borders, including border governability, foreign policy attitudes on the border, and the manifestation of U.S. foreign policy at its borders. A more recent co-edited manuscript, “Comprehensive Immigration Reform After the 2012 Elections,” is currently under review at Springer Press, and he is working on a manuscript titled “The Bird’s Eye View: An Institutional Analysis of Mexico’s 2006-2012 Security Strategy.” He has authored numerous book chapters and academic articles and attended dozens of conferences and workshops in the United States, Mexico and other countries. Payan earned his B.A. in philosophy and classical languages (Greek and Latin) from the University of Dallas and his MBA from the University of Dallas Graduate School of Management. He received his doctorate degree in international relations from Georgetown University in 2001.